At $ 700, it’s also pricey for an action camera. But if you go through the specs, the RX0 II sounds like it might just be worth it. First off, the RX0 II is durable to the point of being nearly indestructible: it’s waterproof to 10 meters, dustproof, and is shock- and crush-resistant. There’s a 1.0-inch stacked 15.3-megapixel CMOS sensor paired with Sony’s BIONZ X image processor, which is used to boost color reproduction and maintain 16 frames per second for still shots. This is an action camera that you could actually rely on for quick photos. An action camera lives and dies by its lens and the RX0 II’s Zeiss Tessar T 24mm F4.0 wide-angle glass looks solid. It has a short minimum focus distance of 20cm, meaning you can use it to take selfies or table-top shots. If you’re more of a night shooter, note that the ISO range is 80-12800, so on paper, you would even be able to shoot vlogs in dimly-lit scenarios. Although, I’ll have to see for myself just how noisy those stills and videos actually turn out. In terms of video, the RX0 II can shoot 4K video at 30 fps, includes a microphone jack, and has in-body electronic stabilization that’s even usable in handheld mode. 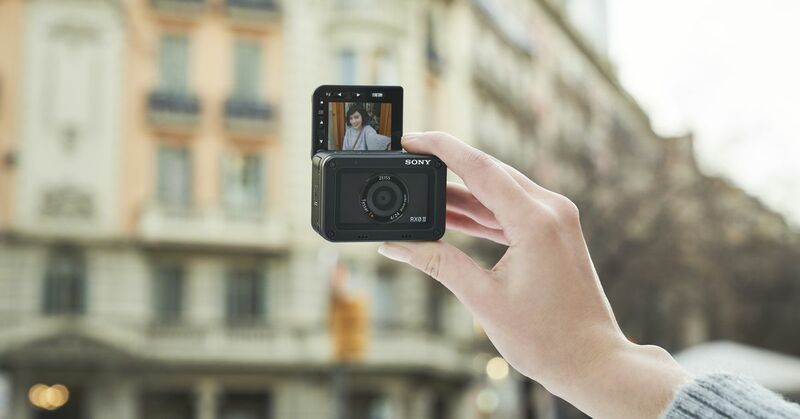 Slow-motion photographers will also be happy to know Sony includes a 1,000-fps recording mode with uncompressed 4K HDMI output. The RX0 II also supports S-Log2 for more flexibility in post-processing. If you need to operate more than one RX0 II camera at once, Sony makes it easy to wirelessly control five of them from the Imaging Edge mobile app, up to 50 cameras with an access point (a feature scheduled for this summer), or up to 100 with a camera control box. That’s an expensive array of action cameras. Regarding availability, Sony’s new RX0 II will ship in April, costs $ 700 US or $ 900 CA, and will be sold at authorized retailers across North America.